Former Deputy Governor of the Bank of Ghana (BoG), Dr. Johnson P. Asiama, has put up a spirited defence of the opposition National Democratic Congress’ (NDC) ‘dodgy’ GH¢4.6 billion contract that was to establish a national switch to make mobile money payments and other transfers interoperable (i.e. link to each other) in the banking and the financial system. He said at a news conference in Accra on Monday that the contract, signed during his tenure, was not overpriced as being claimed, and accused some politicians of attacking his personality in the role he played during the deal. Interestingly, Mr Asiama’s boss, Dr. Nashiru Issahaku – former Governor of the Bank of Ghana – denied a statement attributed to him. He was said to have condemned Vice President Bawumia for exposing the alleged corruption in the deal with the Bank of Ghana. Some opposition party activists, including former government officials, circulated a statement which they claimed Dr Issahaku prepared to set the records straight. He debunked claims that he was holding brief for the opposition NDC. 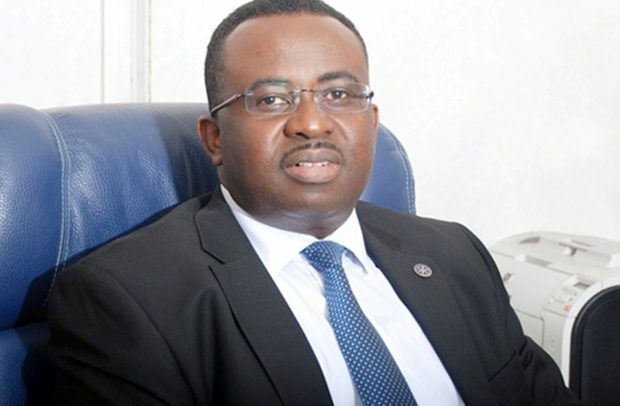 Nowhere had Dr Asiama, who resigned from the Bank of Ghana in bizarre circumstances, been mentioned in connection with the dodgy deal, which is said to have been cooked for the eventual winner – allegedly fronted by Roland Agambire of rlg fame. Reacting to a question on the differences in the prices quoted by Sibtons – the winner of the contract – and what the Ghana Interbank Payment and Settlement System (GhIPSS) put forward, Dr. Asiama explained that the current system cannot monitor the flow of transactions to determine the revenue that would be accrued to government. “I am out of office and I cannot say what is being done now but if I look at the details and scope of work in the original contract as stated here, it goes far beyond what was launched last week…It is like comparing antelope and an elephant. I am not sure the price will be the same,” he posited. The NDC appears to be shifting the narratives following a bombshell by Vice President Dr Mahamudu Bawumia that they were going to spend GH¢4.6 billion in establishing a national switch to make mobile money payments and other transfers interoperable. Operatives of the party are now saying that the GH¢4.6 billion was not government cash after their vehement denial that such a huge amount of money was involved. Bizarrely, in their attempt to do what looks like a ‘cover-up,’ they are not also able to tell where Sibton Switch Systems Limited was going to generate the funds to complete the controversial project. Luck eluded the Mahama-led NDC when it was booted out of office in the 2016 general election; but the Akufo-Addo-led New Patriotic Party (NPP) government has been able to complete the same project with only GH¢18.4 million, according to Vice President Dr. Mahamudu Bawumia. The Mahama government had priced the cost of integrating the mobile money platforms of Ghanaian telcos with the national payments switch (GHIPPS) at over $1 billion (GH¢4.6billion), which translates into about 15% of the national budget. Under the project, Sibton was to raise the funds and develop the project by earning a percentage of fee over a 25-year period to cover the over $1 billion price tag plus return on investment; and it was to be done through deductions from mobile money users. However, the price for a simple gateway and ledger for a few billing engines at over $1.2 billion has been described by many as one of the ‘craziest, most ridiculous, scams hatched’ on the government of Ghana by some experts. In effect, if the contract, which financial outlay is GH¢4.6 billion, had been executed, the taxpayer would have borne the entire cost because Sibton Switch Systems was not going to provide the system for free as being suggested by some NDC apologists. Popular lawyer and anti-corruption crusader, Ace Ankomah, waded into the controversy when he did a diagnosis of the whole agreement, concluding that the deal was cooked for the benefit of some big people high up in the previous government. “Done. Dusted. So instead of simply mentioning the GH¢4,677,414,340.82, they take you on a long, circuitous route to get there,” he fired, adding, “And I’m not even going to get into the omissions and typos in the Agreement and what they suggest! “We are happy that the NDC is out of power and the NPP assumed office to save Ghana from the create, loot and share. We have saved Ghana a lot of money. The figure represents the entire solution…this is a government that listens, this is a government that wants to ensure that we have a Ghana Beyond Aid,” he added.